Europe "Hero" Video now online. Reunited Swedish hard rockers Europe recently filmed a video for "Hero", the second single off their new album, "Start from the Dark". Watch the video clip here. The group's first collection of new material since 1991's "Prisoners In Paradise", "Start from the Dark" was produced by Kevin Elson (who had previously worked with Europe on their multi-platinum 1986 release, "Final Countdown") and features a "heavier" direction than on the group's earlier albums. A video for the album's first single, "Got to Have Faith", has been posted online here (Windows Media file). EUROPE shot a live DVD at the band's recent London performance. A late 2005 release is expected. About Europe "Start From The Dark" new album: Scandinavia's biggest Rock band ever reunited in 2004 for a world tour, album and DVD. The band (Joey Tempest, John Norum, Mic Michaeli, John Leven and Ian Haugland) have long talked about getting back together. Haugland Says, "After the first band jam in years it felt so right, like we've just been away for a lunchbreak". Mic Michaeli Adds "Also, touring has always been a big part for the band and we look forward to some hard work again". Norum says, "Ever since we started there has been something magic about this band..." "The new stuff sounds fresh and hard but still with the typical Europe melodies in focus" says Joey Tempest, "... And extremely organic" John Norum finishes. Europe "Start From The Dark" new CD: ORDER IT NOW. 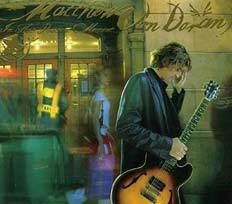 Matthew Von Doran "In This Present Moment" album is a Smooth Jazz CD in a great vein, released in 2004 on Bcat Records. After 20 years of gradually building his rep as a reliable and versatile sideman on the Orange County, California circuit, guitarist Matthew Von Doran is finally stepping out as a leader in his own right with "In This Present Moment". Produced by Jimmy Haslip, bassist with the internationally renowned Yellowjackets, this debut outing from Matthew Von Doran finds the guitarist surrounded by a cast of Jazz heavyweights including saxophonists Bob Mintzer and Bob Sheppard, drummers Peter Erskine, Terri Lyne Carrington, Gary Novak and Marcus Baylor, B-3 organist Larry Goldings, bassists James Genus and Haslip himself. An impressive showcase that highlights Matthew Von Doran's warm, inviting tone and accomplished six-string work in a variety of settings, "In This Present Moment" is a fitting introduction to this new face on the post-Pat Metheny/post-Scofield guitar landscape. "The record has a nice eclectic mix but it's not too all over the map," says Matthew Von Doran in addressing his own eclectic nature as a guitarist. From the hauntingly melodic opener "Balance" to the earthy N'awlins flavored funk of "Measure Once" to the fervently swinging "Critical Mass," sparked by the ace rhythm tandem of bassist Genus and drummer Baylor and featuring a killing tenor solo from Mintzer, Matthew Von Doran still covers a lot of bases stylistically on In This Present Moment, showcasing a fluid linear approach and rich chordal voicings along the way. Organist Goldings adds a thick B-3 cushion underneath the aptly-named "Swang," which is fueled by the briskly swinging, interactive pulse of Carrington on the kit and culminates in some heated trading between organ and guitar. That potent organ trio also appears on the breezy, Latin flavored "Z" and the more ethereal "Ex Nihilo." Producer Jimmy Haslip appears alongside his Yellowjackets bandmate Baylor on the challenging, post-boppish vehicle "Vanity Strikes," which also features a burning solo from vibist Roger Burn. Former Chick Corea Elektric Band drummer Gary Novak provides the slamming backbeat on the powerful groover "Cable." And for a radical change of pace, Matthew Von Doran also pulls out his 11-string nylon string fretless Godin guitar on the provocative "Trick," which is underscored by some adventurous interplay between bassist Olesczkiewicz and drummer Erskine. Matthew Von Doran closes the collection in poignant fashion with the melancholic acoustic guitar ballad "Somewhere Before," which features some sensitive brushwork from Peter Erskine and is also highlighted by a beautifully expressive solo upright bass intro by Darek "Oles" Olesczkiewicz. From opener to closer, there's not a weak link on "In This Present Moment". It's a strong first statement for this guitar talent deserving of wider recognition. Matthew Von Doran "In This Present Moment" CD: ORDER IT NOW. Jesse Cook's latest CD "Montreal" was released in Canada November 9th, with it's global release following this december. Recorded live July 9th, 2004 at the Metropolis Theatre as part of Le Festival International de Jazz de Montreal. Jesse Cook is a worldbeat and Smooth Jazz musician in the truest sense of the word; he doesn't just pick a style and repackage it, he is respected both by listeners and players alike for constantly seeking inspiration and tutelage from all over the world. A longtime fan of music from Spain, Africa, Egypt, Brazil, France and Cuba, Jesse Cook's "Montreal Live" evokes each of those countries and then some on this, his sixth CD and first live disc. Jesse Cook has a history of hooking up with talented players; previous contributors to his million-selling catalogue include cellist Ofra Harnoy, fellow Canuck Holly Cole, and Brazillian jazz phenom Flora Purim. His choice of players for Montreal are equally talented; that point is made clear right from the opening cut, "Beloved." Fellow Canadian, Maryem Tollar sets the stage with her incredible, ghostly Arabic vocals; from that romantic, moody brilliance right to the disc's undulating climax of "Baghdad," the perpetual motion of Gypsy Kings-meets-Cirque du Soleil sounds resonate throughout the disc. The audience's adoration of the performer and his wonderfully percussive live show (recorded at Le Festival International de Jazz de Montréal) allows the feverish applause to carry the enthusiasm over to the live disc itself. There will always be a debate among purists as to whether accessible worldbeat or Jazz is too easy-listening; ultimately, Jesse Cook is one part gifted guitar player, another part masterful showman. Even in the context of listening to a live CD, the energy that he gives to and subsequently receives from his fans on Montreal is contagious and musically rewarding. 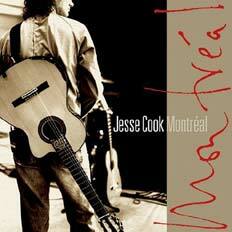 Jesse Cook "Montreal Live" CD: ORDER IT NOW. 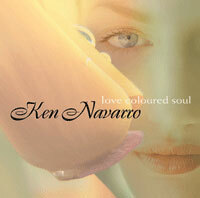 Ken Navarro "Love Coloured Soul" new album will be available on January 25, 2005 on Positive Music. "My new CD Love Coloured Soul is complete, and Positive Music Records and I are now making it exclusively available to you right here at my website. Though it will not be out in the stores until the January 25, 2005 retail release date, I wanted to make the new CD as well as the two (2) DVD extra packages (which also include a personalized, signed copy of the new CD) available right here at our safe and secure online store. The free "The Making of Love Coloured Soul" videos are still available for anyone who hasn't yet had an opportunity to watch me create the new music." Ken Navarro is recognized as one of today's leading Contemporary Jazz guitarists and composers. His impressive discography of 15 top charting albums showcase his appeal to a wide range of listeners with inspiring compositions and superb guitar performances. The release Ken Navarro's newest album "Love Coloured Soul" marks Ken's return to his own record label, Positive Music Records. It contains 10 new recordings including a beautiful rendition of Laura Nyro's classic "Stoned Soul Picnic" and Ken's gorgeous interpretation of the John Klemmer gem "Glass Dolphins". Ken Navarro's 2003 release "All The Way," and his 2002 CD "Slow Dance" spawned numerous radio hits including "Bringing Down The House," "In The Sky Today," "So Fine" and "Healing Hands". Ken Navarro's 2000 CD release "Island Life" scored two hits at Smooth Jazz radio including "Delicioso," as well as the title track keeping the CD on the airwaves for a solid 52 weeks! 1999's "In My Wildest Dreams" continues to be one of Ken's top sellers and 1998's live CD & Video "Ablaze in Orlando" has been acclaimed as one of the best live Jazz CDs of the decade. "Smooth Sensation," released in 1997, was in the Top 10 of Radio & Records' Smooth Jazz chart for 12 weeks, helping to make the CD the #17 Smooth Jazz album of 1997! Other recent releases from Ken Navarro include his 1996 album, "When Night Calls," featuring Eric Marienthal on saxophone, and "Christmas Cheer," a holiday album of contemporary Jazz guitar and acoustic piano duets. Ken Navarro "Love Coloured Soul" new CD: ORDER IT NOW. David Sanborn "Closer" album. David Sanborn "Closer" new album is available January 11, 2005 on Verve Records. In the '70s, David Sanborn came to define the saxophone in Contemporary Pop music through his work with David Bowie, Stevie Wonder, The Eagles, Linda Ronstadt, Paul Simon, and James Taylor. In the '80s, he defined the sound of the saxophone in Contemporary Jazz. Today, David Sanborn is once again taking the lead as one of music's seminal figures, redefining his instrument and his place in music. For Closer, six-time Grammy-winner David Sanborn selected music from an extensive array of songwriters and composers; everyone from Charlie Chaplin to James Taylor is represented here. David Sanborn also contributes two original tunes to the mix. On "Closer," David Sanborn surrounds himself with the same all-star ensemble that supported him on timeagain: the core group on the recording features Larry Goldings (electric piano, organ), Mike Mainieri (vibraphone), Russell Malone (guitar), Christian McBride (bass), Steve Gadd (drums), pianist/accordionist Gil Goldstein and Luis Quintero (percussion). Saxophonist Bob Sheppard makes a special appearance on one number. Adding to the overall cohesiveness of the project, legendary producer Stewart Levine again helms the production along with Joe Ferla, who engineered and mixed. David Sanborn "Closer" begins with a sultry rendition of "Tin Tin Deo" by Gil Fuller and Chano Pozo which then leads into Horace Silver's classic "Señor Blues," one of two of the great pianist's works on the record. (The other is "Enchantment.") Other songs on this new recording include the upbeat "Capetown Fringe" (Abdullah Ibrahim) as well as a heartfelt reading of Charlie Chaplin's iconic "Smile," which was co-written by Charlie Chaplin along with Geoffrey Parsons and John Turner. One of "Closer"'s highlights is David Sanborn's take on James Taylor's timeless "Don't Let Me Be Lonely Tonight." This beautiful rendition features vocals by the talented young singer Lizz Wright, David Sanborn's Verve labelmate. Rounding out the collection are "Ballad of the Sad Young Men" by Tommy Wolf and Fran Landesman, "Poinciana" by Nat Simon and Buddy Bernier, and "You Must Believe in Spring" by Michel Legrand, Alan Bergman, Marilyn Bergman, and Jacques Demy, along with the saxophonist's two new compositions: "Another Time, Another Place" and "Sofia." 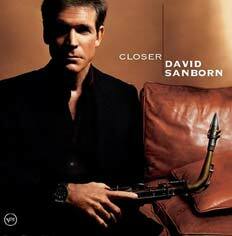 David Sanborn "Closer" CD: ORDER IT NOW. 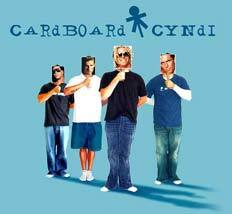 Carboard Cyndi "The Record" album was released in 2003 feat. Lauren Scheff but it's impossible now to get the album even on their official website of the band. How can we do to listen this stuff? "Soundstage Presents Chicago - Live in Concert" DVD (2004): ORDER IT NOW. Kate Bush new album in 2005. Kate Bush has announced in December 2004 that her new album is almost finished and will be out in 2005: "We'll let you know when" She says: "I'm so pleased with everyone's work on this record. There are some lovely performances and I hope you will all feel it's been worth the wait. Bertie keeps me very busy, he is so much fun." Known contributors to the new album include Mick Karn (he says he played bass on a track called "How To Be Invisible"), drummer Stuart Elliott and Jazz percussionist Peter Erskine. The late Michael Kamen wrote the string arrangements for two tracks which will appear on the new album - she recorded what she has described as "some beautiful orchestral movements" with him and the London Metropolitan Orchestra at Abbey Road in October 2003. Chris Hall has played accordion on one track. Classical musicians Emma Murphy and Susanna Pell have also recorded for the album. Del Palmer is said to be engineering. Kate Bush has had her new recording studio serviced and upgraded and started recording in late 1999. On May 23rd 2002 Kate received the Ivor Novello award for Outstanding Contribution To British Music By A Songwriter. Kate Bush appeared live for the first time in almost 15 years singing Comfortably Numb as David Gilmour's special guest at his Royal Festival Hall concert on January 18th 2002. (Via Kate Bush news & information). Kate Bush "The Line the Cross & The Curve" (1993) DVD: ORDER IT NOW. Artie Shaw dies, Artie Shaw passed away. Artie Shaw (Jazz clarinetist), famed for his classic recordings of "Begin the Beguine" and "Lady Be Good" died on Thursday at age 94, his manager Will Curtis said. On the eve of America's entry into World War II, TIME magazine reported that to the German masses the United States meant "sky-scrapers, Clark Gable, and Artie Shaw." Some 42 years after that, in December 1983, Artie Shaw made a brief return to the bandstand, after thirty years away from music, not to play his world-famous clarinet but to launch his latest (and still touring) orchestra at the newly refurbished Glen Island Casino in New Rochelle, New York. Oddly enough, New Rochelle isn't all that far from New Haven, Connecticut, where Artie Shaw spent his formative years and at an early age became a compulsive reader, and where at 14 he began to play the saxophone (and several months later the clarinet), and at 15 left home to play all over America, and meanwhile study the work of his early jazz idols, such as Bix Beiderbecke, Frank Trumbauer, and Louis Armstrong. At the age of 16 Artie Shaw went to Cleveland, where he remained for three years, the last two working with Austin Wylie, then Cleveland's top band leader, for whom Artie Shaw took over all the arranging and rehearsing chores. In 1927 Artie heard several "race" records, the kind then being made solely for distribution in black (or "colored," as they were then known) districts. After listening entranced to Louis Armstrong and his Hot Five playing Savoy Blues, West End Blues, and other now-classic Louis Armstrong records from the late 1920's, Artie made a pilgrimage to Chicago's Savoy Ballroom to hear the great trumpet player in person. Back in Cleveland, Artie Shaw, now 17, won an essay-writing contest which took him out to Hollywood in 1928, where he ran into a couple of musicians he had known back in New Haven who were now working in Irving Aaronson's band. A year later, at the age of 19, Artie moved to Hollywood to join the Aaronson band. Shortly afterwards, the Aaronson band spent the summer of 1930 in Chicago, where Artie "discovered a whole new world" (as he would much later write, in a semi-autobiographical book The Trouble With Cinderella first published in 1952) when he heard several recordings of some of the then avant-garde symphonic composers' work: Stravinsky, Debussy, Bartok, Ravel, et al, whose work would eventually influence most of our contemporary jazz performers. This influence would soon surface in Artie Shaw's own work when he began to use strings, woodwinds, etc. -- notably in a highly unusual album entitled Modern Music for Clarinet, selections of which were also featured in several of Shaw's Carnegie Hall concerts. In 1934 Artie Shaw returned to New York to pick up his formal education where it had been abruptly terminated when he left high school at 15, and resumed studio work to support himself. He made his first public appearance as a leader in 1936, in a Swing Concert (history's first) held at Broadway's Imperial Theatre. This proved to be a major turning point in his career, and would in fact ultimately have a significant impact on the future of American Big Band jazz. Artie Shaw could scarcely have known that within a short time he would make a hit record of a song called Begin the Beguine, which he now jokingly refers to as "a nice little tune from one of Cole Porter's very few flop shows." Shortly before that he had hired Billie Holiday as his band vocalist (the first white band leader to employ a black female singer as a full-time member of his band), and within a year after the release of Beguine, the Artie Shaw Orchestra was earning as much as $60,000 weekly -- a figure that would nowadays amount to more than $600,000 a week! The breakthrough hit record catapulted him into the ranks of top band leaders and he was immediately dubbed the new "King of Swing". Today, Shaw's recording of Begin the Beguine sells thousands and has become one of the best-selling records in history. Superstardom turned out to be a status that Artie Shaw (as a compulsive perfectionist) found totally uncongenial. Within a year he abruptly took off for another respite from the music business, this time in Mexico. In March of 1940 he re-emerged with a recording of Frenesi, which became another smash hit. For this recording session, he used a large studio band with woodwinds, French horns, and a full string section along with the normal dance band instrumentation -- another first in big band Jazz history. Later that year he formed a touring band with a good-sized string section, with which he recorded several more smash hits, among them his by now classic version of Star Dust, plus a number of other fine musical recordings such as Moonglow, Dancing in the Dark, Concerto for Clarinet, and many others. Shortly after the bombing of Pearl Harbor, the unpredictable Artie Shaw quit the music business once again, this time to enlist in the U.S. Navy. After finishing boot training, he was asked to form a service band which eventually won the national Esquire poll. He spent the next year and a half taking his music into the forward Pacific war zones, playing as many as four concerts a day throughout the entire Southwest Pacific, on battleships, aircraft carriers, and repair ships, ending with tours of Army, Navy, and Marine bases (and even a number of ANZAC ones when his band arrived in New Zealand and Australia). On returning to the U.S. -- after having undergone several near-miss bombing raids in Guadalcanal -- physically exhausted and emotionally depleted, he was given a medical discharge from the Navy. His troubled marriage to Betty Kern (the daughter of composer Jerome Kern) ended in divorce, and in 1944 Shaw formed another civilian band -- featuring such great performers as pianist Dodo Marmarosa, guitarist Barney Kessel, and the phenomenal trumpeter Roy Eldridge -- with which he toured the country and made many excellent recordings. In 1947, during another hiatus, Shaw spent about a year in New York City in an intensive study of the relation of the clarinet to non-jazz (or, as he prefers to call it, "long-form") music. This culminated in a tour in 1949 of some of the finest musical organizations in America, such as the Rochester Symphony Orchestra under the direction of Eric Leinsdorf, the National Symphony in Washington, D.C., the Dayton Symphony, three appearances with New York's "Little Orchestra" (one in Newark, a second in Brooklyn's Academy of Music, and the last in Town Hall). After that Artie Shaw recorded the aforementioned Modern Music for Clarinet album, containing a collection of remarkably well crafted symphonic orchestrations of short works by Shostakovich, Debussy, Ravel, Milhaud, Poulenc, Kabalevsky, Granados, Gould, along with Cole Porter and George Gershwin. About that time Shaw again appeared in Carnegie Hall, as guest soloist with the National Youth Orchestra conducted by Leon Barzin, where he received critical acclaim for his rendition of Nicolai Berezowski's formidable Concerto for Clarinet, which he had previously presented in its world premiere a few weeks earlier with the Denver Symphony. Around that time he performed the Mozart Clarinet Concerto with the New York Philharmonic conducted by Leonard Bernstein at a benefit performance, held at Ebbetts Field, for Israel's Philharmonic Orchestra. During that year, Shaw also played numerous chamber music recitals with string quartets, at various colleges and universities around the country. Another of Artie Shaw's ventures during that period was his great 1949 band, which was virtually ignored by the general public until 1989, when an album of some of its work was released on compact discs by MusicMasters, and has since received remarkable worldwide reviews. In 1951 Artie Shaw again quit the music business, this time moving to Duchess County, New York, where he bought a 240 acre dairy farm and wrote his first book, a semi-autobiographical work entitled The Trouble With Cinderella: An Outline of Identity, sections of which have appeared in many anthologies, and which is still in print. Throughout the early fifties, Artie Shaw assembled several big bands and small combos -- as well as his own symphony orchestra, (to play a one-week engagement at the opening of a large New York Jazz club called Bop City). One such combo which was formed in late 1953 and recorded in 1954, a group known as the Gramercy 5 (a name he took from the New York telephone exchange of the time), maintain an amazingly high degree of popularity to this day despite the onslaught of Rock, MTV, and other such commercial phenomena. In 1954 Artie Shaw made his last public appearance as an instrumentalist when he put together a new Gramercy 5 made up of such superb modern musicians as pianist Hank Jones, guitarist Tal Farlow, bassist Tommy Potter, et al. The most comprehensive sampling of that group (as well as a number of others, going all the way back to 1936 and on up through this final set of records) can be heard on a four record album, now a rare item, released in 1984 by Book of the Month Records, entitled: Artie Shaw: A Legacy, which has also received rave reviews. Some of this music was re-issued on two double CD's by MusicMasters as "Artie Shaw: The Last Recordings, Rare and Unreleased", and "Artie Shaw: More Last Recordings, The Final Sessions". Artie Shaw packed his clarinet away once and for all in 1954. In 1955 he left the United States and built a spectacular house on the brow of a mountain on the coast of Northeast Spain, where he lived for five years. On his return to America in 1960 he settled in a small town named Lakeville, in northwestern Connecticut, where he continued his writing, and in 1964 finished a second book (consisting of three novellas) entitled "I Love You, I Hate You, Drop Dead"! In 1973, he moved back to California again, finally ending up in 1978 in Newbury Park, a small town about 40 miles west of Los Angeles, situated in what he refers to as "Southern California pickup-truck country." Since then, aside from a brief venture into film distribution (1954 to 1956), and a number of appearances on television and radio talk shows, Artie Shaw has had very little to do with music or show business. He gaves occasional interviews on television, radio, and newspapers and lectures all over the United States. He conducted seminars on literature, art, and the evolution of what is now known as the Big Band Era. He has given lectures at Yale University, the University of Pennsylvania, the University of Southern California, the University of California at Santa Barbara, the California State University at Northridge, and Memphis State University. He had received Honorary Doctorates at California Lutheran University and the University of Arizona. His home contained a library of more than 15,000 volumes, including a large collection of reference works on a wide variety of subjects ranging from Anthropology to Zen. Artie Shaw had been a nationally ranked precision marksman, an expert fly-fisherman, and for the past two decades had been working on the first volume of a fictional trilogy, dealing with the life of a young jazz musician of the 1920's and 30's whose story he hopes to take on up into the 1960's. In a review of the film at Los Angeles's Filmex Film Festival in the summer of 1985, Variety commented: "A riveting look back at both the big band era and one of its burning lights." The film has received glowing reviews wherever it has been shown -- Los Angeles, Santa Barbara, Minneapolis, Toronto, Boston, and on Cinemax -- as well as in England, where it ran twice on BBC. It has also appeared at Film Festivals in Belgium, Switzerland, Australia, and Spain (where it took first prize in the documentary category). In 1986 it opened the San Francisco Film Festival, and in 1987 the Academy of Motion Picture Arts and Sciences awarded it the Oscar for Best Documentary Feature of 1986. On first meeting Artie Shaw, young Wynton Marsalis remarked, "This man's got some history." Artie Shaw is regarded by many as the finest and most innovative of all jazz clarinetists, a leader of several of the greatest musical aggregations ever assembled, and one of the most adventurous and accomplished figures in American music. As Artie Shaw goes on into his nineties, he had also developed a crusty humor, as evidenced by an epitaph for himself he wrote for Who's Who in America a few years ago at the request of the editors: "He did the best he could with the material at hand." However, at a recent lecture to the music students of the University of Southern California, when someone mentioned having read it, Artie Shaw said, "Yeah, but I've been thinking it over and I've decided it ought to be shorter, to make it more elegant." And after a brief pause, "I've cut it down to two words: 'Go away.'" 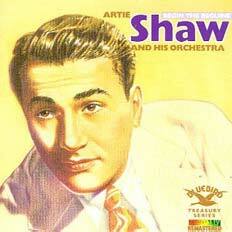 Artie Shaw "The Very Best Of Artie Shaw" CD (18 tracks): ORDER IT NOW. "And now the moment you've all been waiting for, Guardian will return in 2005! It looks like the band will be hitting the studio sometime this year to record a couple new songs for a greatest hits release in the old-school style. We're talking pre-"Swing Swang Swung" era. A tour is being planned to coincide with the release. Jamie, Tony, David, and Karl are involved and our old compadres John Elefante and Dino Elefante are set to produce. If things go well, they may consider doing another one in the post-"Swing Swang Swung" style." "Christian hard rock band Guardian are reuniting to record new music for a May 2005 release. Three new songs, combined with past favorites, as well as an extensive DVD are in the works. Producers John and Dino Elefante will also re-team with the band. A new web site is currently being developed." Guardian "Swing Swang Swung" CD (12 tracks, 1995): ORDER IT NOW. Roger Daltrey to be a CBE (Commander of the Order of the British Empire). Roger Daltrey, 60 y.o., the rock icon from The Who, is today among a number of high-profile figures from the world of music and entertainment to be honoured as a CBE (Commander of the Order of the British Empire). "I am so pleased," he said. "It is really great to be honoured by my country." 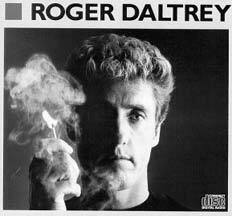 Roger Daltrey, was honoured for his services to music, the entertainment industry and charity. Born Roger Harry Daltrey on March 1, 1944, to Harry & Irene Daltrey in Shepherd's Bush, England. Daltrey was primarily raised in the London suburbs of Shepherd's Bush and Bedford Park. Harry Daltrey worked for a water closet manufacturer. Irene Daltrey lost a kidney in 1937 and as a result was told that she could no have children. About a year later, Irene Daltrey was stricken with polio to be partially paralyzed with some loss of use of her hands. Daltrey was the oldest and only boy as he has two sisters, Gillian and Carol, the youngest born in late 1947. In May 1969, The Who released the double album "Tommy". Daltrey nearly sings all of the songs. Some of Daltrey finest singing is on "Amazing Journey," "Pinball Wizard," "Go to the Mirror," "I'm Free" and the finale "See Me Feel Me." Tommy is a deaf, dumb, and blind kid who becomes a Messiah and later is forsaken by his followers. Roger Daltrey becomes the character Tommy in a fine vocal performance of nuance, defiance, independence, enlightenment, and remorse. The Who "Live at the Isle of Wight Festival 1970" DVD (23 tracks): ORDER IT NOW.